It didn’t matter that we were more than a half hour from a major town or that we had limited electricity. This wasn’t a gourmet trip nor was there a named chef working in the kitchen. But in the Ecuadorean rainforest, we still ate very, very well. Fish, chicken, rice, beans, fresh fruit, herbal tea, salsa, vegetable soups – there were many tasty options. And there was one major benefit – learning about cocoa, which grows in the rainforest, and watching how to transform the beans into chocolate. 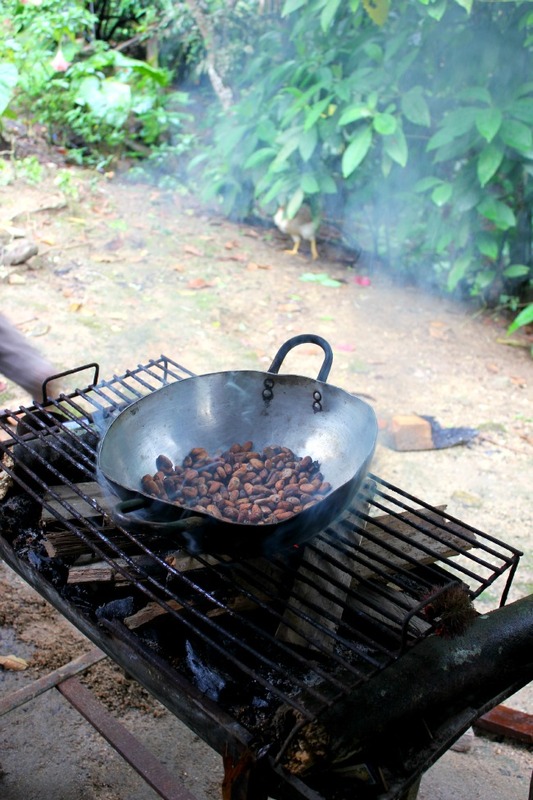 After being picked, the beans are dried in the sun, then roasted over heat to bring out the flavour and break them down. 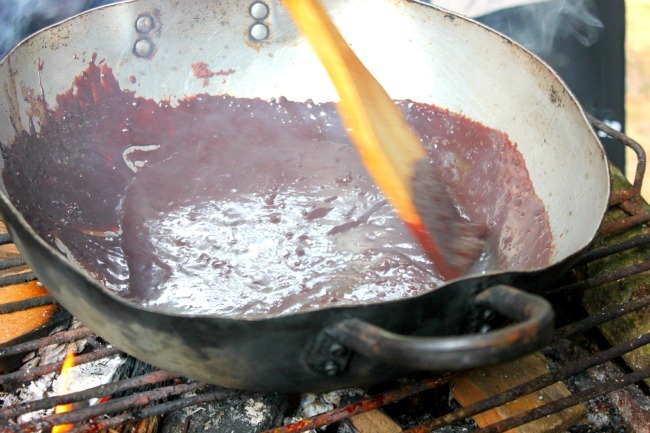 The scent kept us close by – a warm smokiness that made all of us hunger for the final product. The beans are ground, then put back into the hot pan, adding sugar and almond milk and cooking the chocolate until its thick and smooth. Now the scent has transformed to the sweet concoction we all know – and with chunks of sweet banana and pineapple, we tasted the final delicacy. We laughed at our delight as we continued to indulge, taste, savour and then taste some more. As someone who was late to the love for chocolate, I’m thoroughly committed to continuing my tasting education.